Phil is a professional NJ Home Improvement Contractor and Custom Home Builder who helps discerning clients through all phases of building a new home or the construction of home improvements and Additions. He will assist you through each phase of the project—from concept to finish--, including the selection of a site, hiring your architect or working from plans already completed. 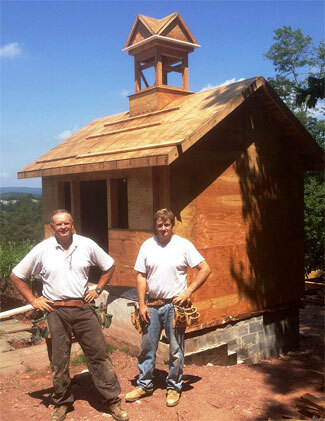 Prior to establishing his successful building business over 30 years ago, Phil spent most of his free time working side by side with his father, also a life-time builder, and learning the craftsmanship which has made his business flourish in Somerset, Hunterdon and Morris Counties, N.J. Working closely with his brother, Dan--his foreman, and expert sub-contractors, Phil personally oversees a wide range of services including custom home building, Home Additions, Historic Renovations, Interior Remodeling, highly detailed custom millwork and built-in furniture, along with Kitchens and Bathrooms, including those designed for handicapped accessibility. Specializing in crafting high end, traditionally inspired and Historical projects, Phil and his team work will work with you to turn your architectural visions into reality. Phil offers a wide range of services ranging from custom home building, alterations and additions to existing buildings, Kitchens, Libraries, highly detailed custom millwork and built-in furniture. He specializes in crafting high end, traditionally inspired architectural projects and helps his clients fully realize the architectural design they envision. In addition to building, Phil is passionate about his family--his wife, Susan, and their two daughters. He is an outdoor enthusiast and an avid equestrian. ©2013 Philip W Rochelle Building. All rights reserved.